THIS IS THE VIEW FROM THE 7TH HEAVEN RESTAURANT ABOVE AARONG’S IN LALMATIA, DHAKA, BANGLADESH. Carol Hochstetler liked this photo because of the tractor and the cool car beside it. I guess this photo is dedicated to my friend, Joe Hochstetler! 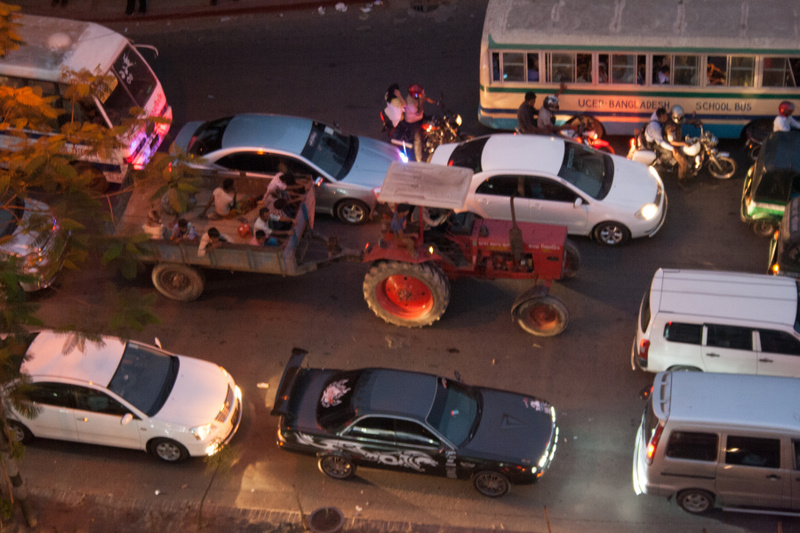 Tractor and Wagon beside Sports car on Mirpur Road, as Well as Many Other Modes of Transportation!